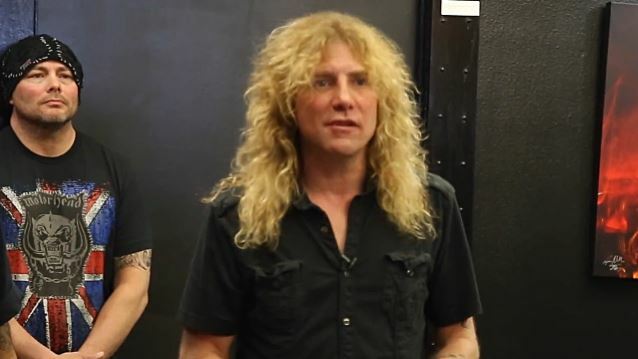 After more than three decades of making music, GUNS N' ROSES' founding drummer Steven Adler made a career first this past Saturday, April 18 with his first art gallery showing of fine artwork. Adler showcased his entire art debut collection, "50", and discussed the work with visitors in two separate symposiums (2 p.m. and 5 p.m.) at Forgotten Saints in West Hollywood, California. Natalia Britt of California Rock News has uploaded video footage and photos of Saturday's event. Her report can be found at this location. Adler's art collection is a unique one, as it is crafted through rhythm. Like a painter using brushes with oils, Adler utilized drumsticks that light in a wide spectrum of ways to construct rhythms that are visually abstract and vivid when captured. The process from conception to release was extensive, as Adler collaborated with Los Angeles art team SceneFour for a year on the project. 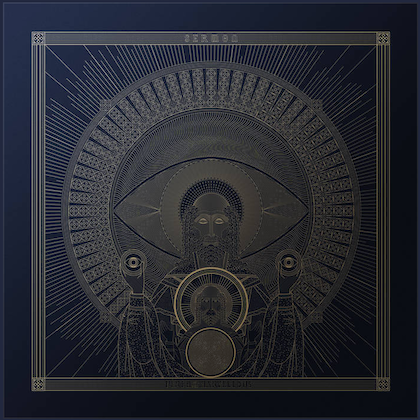 SceneFour is known for its rhythm-on-canvas art releases working with a highly select group of drumming legends, including Mickey Hart (GRATEFUL DEAD), Bill Ward (BLACK SABBATH), Rick Allen (DEF LEPPARD) and Carl Palmer (EMERSON, LAKE AND PALMER). Adler's debut collection, "50", features 14 different canvases, each highly limited in edition size, all numbered and individually signed by Adler. 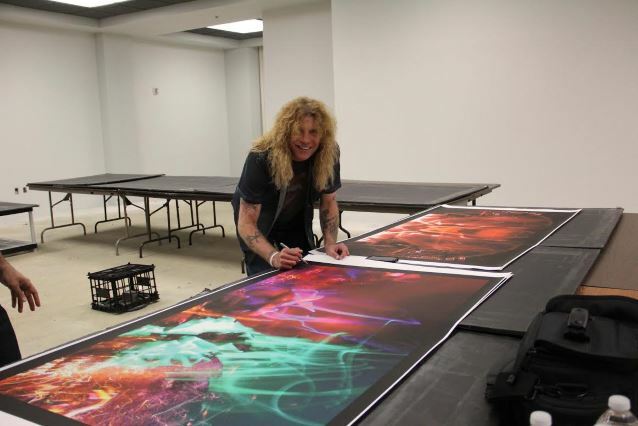 The collection is currently available for collectors worldwide through StevenAdlerArt.com. Located at 7569 Melrose Avenue in Hollywood, Forgotten Saints is both a working art gallery as well as a clothing boutique for acclaimed rock 'n' roll clothing designer Cody Varona, who is responsible for the custom clothing of a discerning spectrum of music icons, including Marilyn Manson, SLIPKNOT, GUNS N' ROSES and MÖTLEY CRÜE. Adler and Varona have been friends for years and the opportunity to showcase Adler's work in the gallery was a natural. "It is an honor to host Steven's big night and to experience his journey into the art world," Varona states. 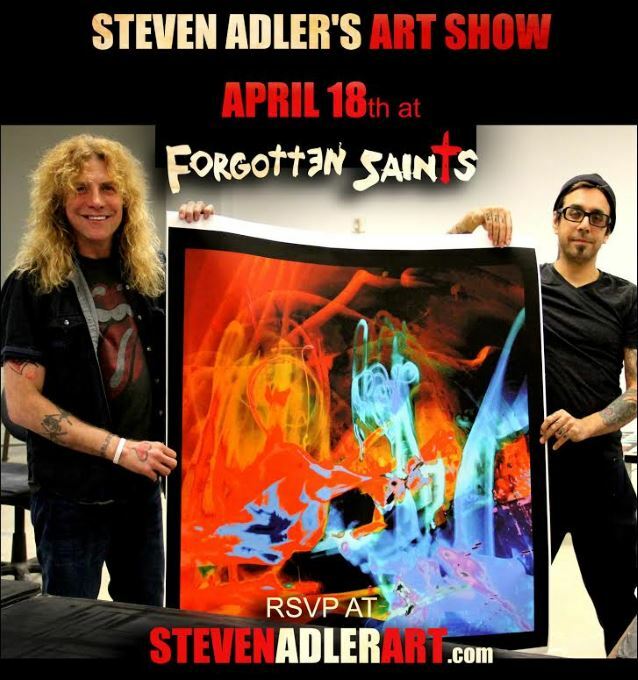 For more details on Steven Adler's art collection, visit StevenAdlerArt.com.